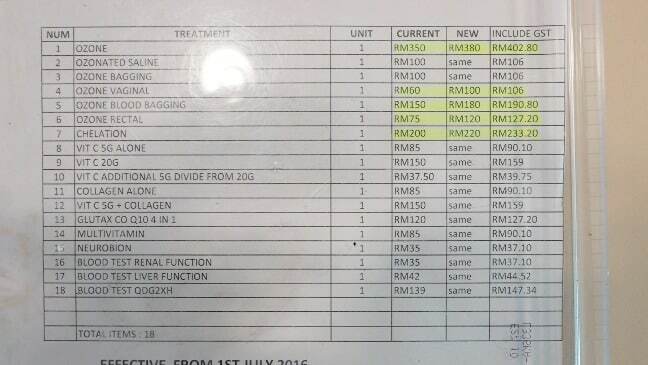 UPDATE: Since May 2017 ozone therapy has been banned in Malaysia and this article may be outdated in that regard. We are waiting better times ahead again, but until then you may want to ask around if anyone is still offering the treatments privately. The day I left Johor Bahru for Melaka the weather changed drastically during the three hour bus ride and I thought I will take a first bus back to Johor right after arrival if it’s going to continue to be like that. At the bus station I heard the forecast for coming days was the same for Johor as well so I headed to China Town. I had called to Voyage Home guest house for preliminary booking and was lucky to still find the room free. Voyage Home is famous for offering free bikes for their guests so it was easy to take a ride to the OZ Wellness Centre that was about seven minutes drive away. The clinic is led by an Indian Dr. Mahendran Ponnuthurai and his colleague Dr. See Ing Or. 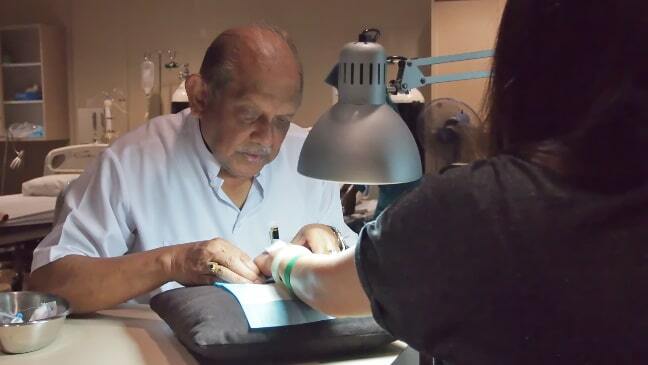 Dr. Mahendran is already far beyond normal retirement age, over 80, but he keeps going with the help of ozone. He started out originally as a gynecologist and obstetrician in which position he worked since 1972, but later turned into integrative modalities such as ozone and chelation therapy after his wife was diagnosed with third stage cancer in 2005, but succesfully recovered by the help of ozone, chelation and supplements. First encounter with ozone modalities for him was in Cuba in the mid 90’s where he and some of his colleagues and friends went for sightseeing tour during his time in the USA. 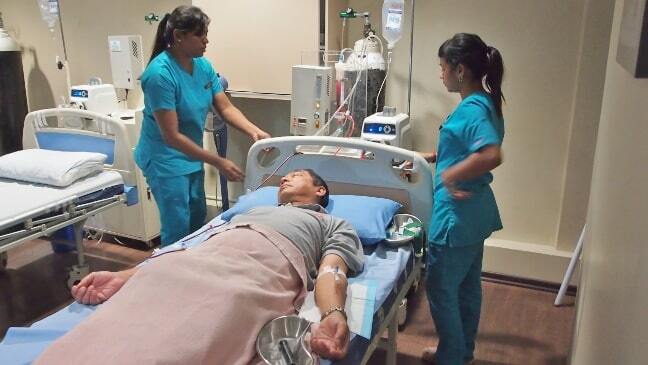 There one group member got mild heart attack and Mahendran found out he was treated with ozone autohemotherapy, a practice he had never heard before. That memory inspired him to look deeper into it when his own wife got sick. 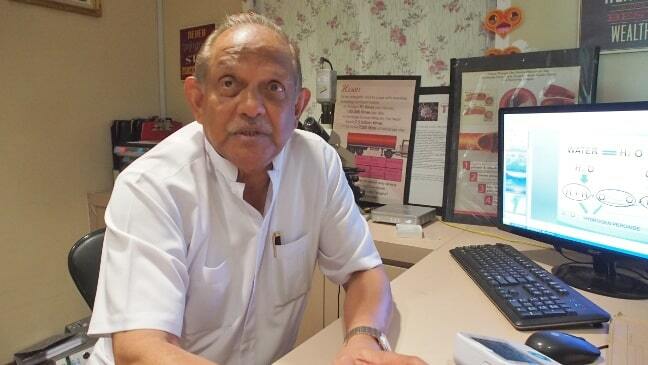 Later he spent six years in Germany where he got training to use clinical ozone modalities himself and became also one of the founders of Lotus Wellbeing clinic in Bengaluru, India. As a side note his wife eventually died 10 years later for viral pneumonia infection that was not cancer related. OZ Wellness Centre is located along the Ong Kim Wee road at 345-B on the third floor if counting the ground floor as first. Their location was a bit misplaced in Google maps and it took me a while to find the right building other side of the junction. I corrected it on the map service and it should point the right spot now. My first impression was that the interior was not the most properly lit up I’ve seen, but it is a minor thing especially if it helps to keep the maintenance bills down. They have three EBOO stations available and sofa for other IV treatments like high dose vitamin C and EDTA Chelation drips. I was on tight budget and had to give up on trying the EBOO to compare it to my Bali experience, so I got one EDTA drip to see how their procedure works. I did not remember how many doses or ampoules I was starting off with in India on my first medical trip so they started with seven. I think I could have tolerated more. Dr. Ponnuthurai used more sturdy needles than those butterfly needles I got familiar with in Goa, but what came as positive surprise was that he also uses anesthetic numbing injection to the spot before inserting the bigger needle. This is even more noteworthy when doing EBOO that requires the large cannulas. For some of the most sensitive needle phobic persons it may even be the deal breaker not to use anesthetics. What’s also different in comparison to Bali Ozone Therapy is that they can give even 90 minutes sessions for the same price once you get familiar with the procedure. But usually first session lasts one hour(60minutes) only. I felt little itching around the area where the EDTA solution was infused, which is normal, but from that one low dose session only it was not possible to feel much other reactions. Usually it is recommended to take 20 or even 25 sessions to get full benefit of the treatment, at least for more elderly people who have more accumulated calcium(and heavy metals) in their body tissues. I got significant help from only 12 sessions in India. My vision improved 70-80% in two months only. I’m trying out EDTA drip. But the reason to trial here was to see how their procedure works and I have no bad word to say especially as the anesthetics they give to ease the injection of cannulas for EBOO is great help, but for EDTA only the butterfly needle would have sufficed. 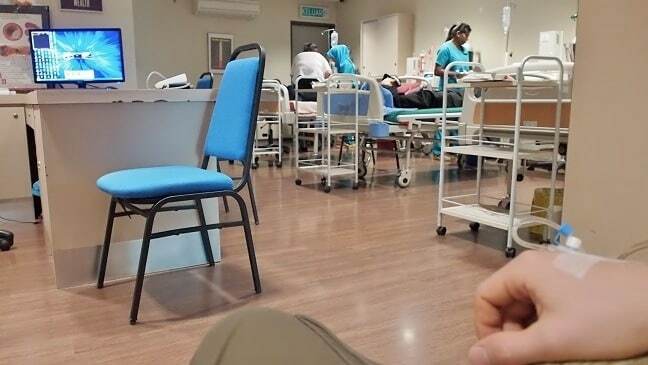 I talked with one Malaysian patient who comes all the way from Kuala Lumpur to take treatments at OZ Wellness Centre because he said they are more affordable than the ones in KL. So far he was satisfied and he was ordinary guy working as a truck driver. It was interesting to see such a forthright acceptance of unconventional modality like EBOO from a layman and ordinary worker that very few in Finland or any western country knows about. There was also one family visiting and the father got EBOO in a routinely manner. His wife and daughter were waiting and I was told how they are happy about the treatment. Their price for EBOO is among the most cheapest in the world. It’s at the same level as in some Indian cities, but the infrastructure in Melaka is closer to western standards which makes your stay more comfortable. One session which can be extended to even 90 minutes, is only 402.80 MYR that makes about 83 Euros/97 USD. EDTA Chelation is about 48 Euros/57 USD. Live Blood Analysis is done before and after the course of treatments to get quick glimpse of where you are standing healthwise. More allopathic lab tests and basic blood work can be done as well. Those prices make OZ Wellness Centre the most attractive and easily accessed place in the world to undergo serious EBOO and chelation therapy considering how conveniently it’s located close to the lively tourist area of Melaka China Town. You can take direct one and half to two hours bus ride from Kuala Lumpur airport to Melaka. Choosing Melaka over Bali can save you in flights and the treatment costs, but the humid hot weather is one drawback. And secondly, the tourist scene is not so developed as in Ubud and does not offer so much activities or social circles for westerners and Bali has it’s unique beauty that can not be found anywhere else. But again, if you are on very low budget, saving a few hundred bucks can make a difference. If you’d like to try ozonating drinking water at home you may try this one.